Website by J Ross IT Ltd.
Friends of the Neonatal Unit is the official charity of Aberdeen Maternity Hospital’s Neonatal Unit for premature and sick babies. Having a baby is a life changing experience for all, however not all new parents are lucky enough to take their new baby home soon after birth and show off to friends and family. Unfortunately some babies are born either too sick or too soon and are in need of some extra special care in the neonatal unit, no matter the outcome there are often many challenges the families and babies face. All money raised for Friends of the Special Nursery is used to benefit babies and their families during their stay in the neonatal unit, no matter how long or short their stay might be. Kayleigh’s Wee Stars is a North East charity based in Oldmeldrum, set up in 2012 by Jonathan and Anna Cordiner after losing their 2 year old daughter Kayleigh to terminal illness. The charity provides financial support to families based in Scotland where there is a child with a terminal diagnosis. The charity does not place restrictions on what the families use the money for, but usually it is used to either make memories through a special family holiday, buy specific equipment to help their child or to relieve financial strain to allow parents to take time off work and enjoy the precious time ahead with their child. The charity now has 5 trustees who, over the last 6 years, have helped to raise over £550,000 to provide support to more than 250 families both in the North East and across Scotland. Through fundraising efforts over the last six years, Kayleigh’s Wee Stars have a strong community of runners and cyclists who actively support and fundraise for the charity. Charlie House is a local charity which supports babies, children and young people with complex disabilities and life-limiting conditions in the North-east of Scotland. In this region alone there are 1,500 children who fit this criteria. Established in 2011, Charlie House is committed to directly supporting these children and their families. We do this through our free services including; our accessible activity clubs for all the family and activity short break. Our Community Team also work with the Children’s Hospital to provide practical and emotional support to children with a life-limiting condition from diagnosis, helping them transition home from a long hospital stay and support the child and their family on their life journey. The Charlie House vision has always been to have a purpose-built facility in Aberdeen to support families in the North-east of Scotland. We have submitted the planning application for the Charlie House Specialist Support Centre and are excited to have now launched our ‘Big Build Appeal’ to support this long-term goal. Our public appeal was launched to engage and call on people in the North-east of Scotland to support our three-year fundraising campaign to raise £8millon for the Charlie House Specialist Support Centre. Together with the people of Grampian, we can make this dream a reality. If you’d like to pull on your trainers and run for Charlie House please email fundraise@charliehouse.org.uk or call 01224 313333. Your contribution will go a long way to helping the current families we support and to reach out to more families, offering them vital support when they need it most. The news of a cancer diagnosis is devastating. One in three of us will be affected and currently one in four die from this horrible disease. With the number of new cases predicted to rise, Aberdeen is aiming to save and improve countless lives by becoming a world-class centre for cancer research, with the launch of a £4.5 million fundraising campaign. Your support will help us discover better ways to prevent, diagnose and treat cancer. The University is seeking to attract the world’s brightest minds to lead pioneering cancer research. The new centre will build on, and take to the next stage, the oncology research already underway at the University in areas including breast cancer and urological cancer, as well as increasing activity in a number of other key areas such as lung and colorectal cancers. It will also enable Aberdeen to develop further as a hub for vital clinical trials and enhance understanding of the role played by diet, nutrition, early-life influences and environmental factors in the development of the disease. 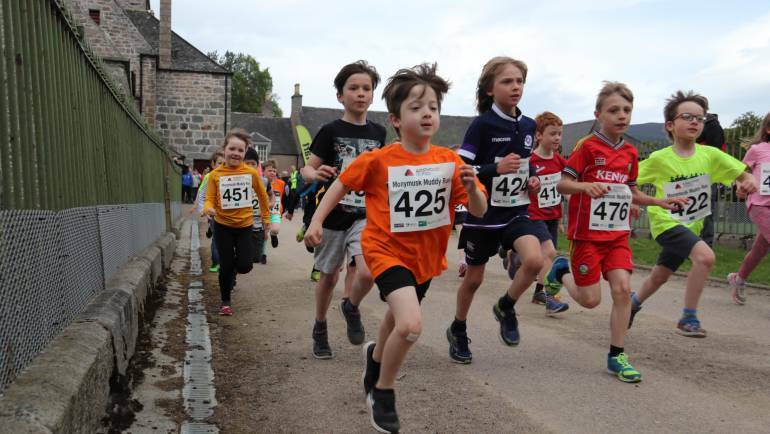 If you are interested in finding out more information or would like to run for University of Aberdeen Development Trust at Run Balmoral 2019, please contact Lynne Black on 01224 272087 or at lynne.black@abdn.ac.uk. We have a number of free places on offer in the 5k and 10k races for those wishing to run in aid of our cancer research. Based in Aberdeen and built in 2003, Sue Ryder Dee View Court is Scotland’s only specialist neurological care centre and the place 24 people currently call home. We care for people aged between 18 and 65 living with long-term and degenerative neurological conditions including Multiple Sclerosis, Huntington’s Disease, Motor Neurone Disease, as well as acquired brain injuries through things such as road traffic accidents or a stroke. It is estimated that one million people in Scotland are living with a neurological condition that has a significant impact on their lives. That’s nearly one in five. Of this one million, approximately 1,000 people with very severe needs have already spent years in a hospital bed or are living in unsuitable settings such as in older people’s care homes or psychiatric wards. So you can imagine that, as Scotland’s only purpose-built neurological care centre – with just 24 spaces – demand for a place is high. Our waiting list continues to grow and, because of the long-term residency of the people who live at Dee View Court, bedrooms rarely become available. It’s a big project, and one we cannot do alone. We need you to run with, and for, us to help reach our target by August 2019. To join Team Sue Ryder contact Rebecca: Rebecca.Buchan@SueRyder.org, call 07845 517951 or visit www.sueryder.org/DeeViewAppeal for more information. The Cornerstone Foundation is the charitable arm of Cornerstone. Both work hand-in-hand to ensure people with disabilities and support needs can enjoy a valued life – the life they choose. By choosing to run for The Cornerstone Foundation, you will make a difference to the lives of people in your community; from a little girl in Aberdeen wanting to be able to join her family at the dinner table, to a young man in Dundee wanting to earn a living for himself, or an elderly couple in Moray who need some extra support to continue living in their own home together. If you would like to secure your place in one of the races, then don’t delay – get in touch with Louise on 01224 256023 or louise.mackay@cornerstone.org.uk if you’d like more details. Adult and Community; which provides support to older people; some further challenged by dementia, mental health and learning disability. Across these services we provide care homes, housing with support, outreach, weekend day care, carers support and activity centres. Children and Family; which provides counseling; integrated nursery provision; support for young people with additional support needs; parenting assessment and out of school care. Education and Learning; which provides residential and day education for young people with additional support needs and housing with support for young adults. Carers and Support Services; which provides support to adult carers throughout Aberdeen City and has specialist support for mental illness, including weekend day care and home support for those suffering from dementia and for their carers. Support Team VSA at Run Balmoral by visiting our VSA events page. SensationALL provide therapeutic activities and specialist support (including training) for individuals with disabilities or ‘multiple support needs’ (MSN), their families and associated professionals. There are many terms used to describe people’s differences and disabilities but we prefer the term ‘Multiple Support Needs’ (MSN), as it’s used to recognise the many factors that affect the life of an individual and their family. Most of our service users have neurodevelopmental conditions, meaning that there is a disability in the functioning of the brain, commonly resulting in physical and sensory impairment, learning difficulties and medical needs. This includes conditions like autism, Attention Deficit Hyperactivity Disorder (ADHD), learning deficits, cerebral palsy, Down’s syndrome and dyslexia. These can often lead to challenges with information processing, communicating effectively, memory and comprehension, behaviour and self-regulation and sensory perceptions/experiences- all of which have a significant impact on their ability to learn and socialise. SensationALL is so-called because we believe that individuals with MSN and their families should ALL have access to appropriate specialist services, without restrictions on age, location or diagnosis. This includes equal access to leisure activities and opportunities that can develop learning, friendships and promote positive mental health as part of lifelong learning and growth. We aim to empower our young people and their families with the confidence, social and life skills to achieve their full potential. 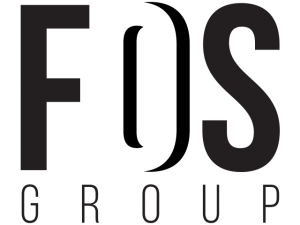 The FOS Group has been formed by engineering experts Apollo and offshore construction specialists AquaTerra to give our clients in the North Sea a simpler, smarter alternative to delivering projects on and offshore for the oil and gas business. With access to over 100 engineers and designers along with 150 offshore construction specialists FOS offers our clients reduced risk, better value and fit for purpose solutions working across topsides, marine, subsea and onshore segments. Find out more about the FOS Group Secondary School’s 2.5k race. 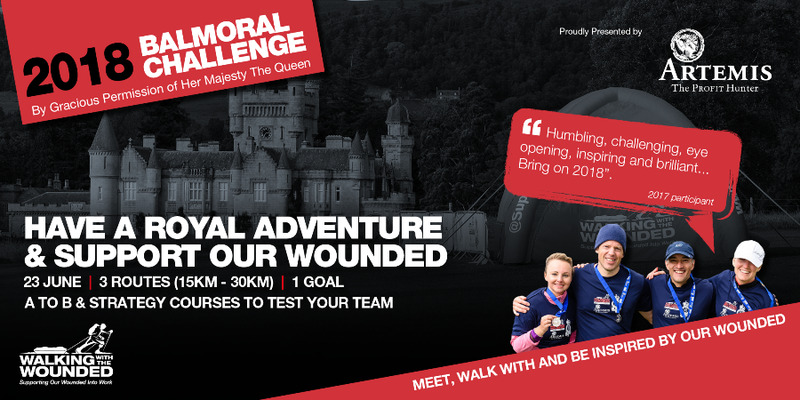 The Balmoral Challenge, presented by Artemis, is a unique, team-building event for your team of four to take on one of three stunning routes across the mountainous Balmoral Estate on 23 June 2018 to mark Armed Forces Day. The event starts and finishes in front of the castle, thanks to the gracious permission of Her Majesty The Queen and raises money for Walking With The Wounded’s programmes supporting ex servicemen and women with mental, physical or social injuries such as homelessness to get back into society and employment. Every team that takes part can support a veteran back into independence. Come and meet, hear from and walk alongside Walking With The Wounded’s inspirational beneficiaries from across Scotland who will be taking part in this uplifting and motivational event. There is a route for all abilities and you’ll be amazed what you can achieve together. Friends of ANCHOR is a charity where every penny stays local to benefit those fighting a cancer diagnosis or blood-related disease in the North-east. On average, around 300 cancer and haematology patients attend the ANCHOR Unit, ARI, wards and clinics each and every day. Since the charity began in 1997, Friends of ANCHOR has been passionately committed to North-east cancer care – with crucial investments into diagnostic and surgical equipment, patient wellbeing services and local, ground-breaking cancer research project led by top clinicians at the University of Aberdeen. This is only made possible thanks to the remarkable generosity of organisations and individuals who champion the cause by raising awareness and fundraising. Join us in directly supporting the ANCHOR Unit, to ensure cancer and haematology patients in our region receive the best possible care, treatment and support. Every penny you raise will help make a direct difference as all the charity’s running costs are fully covered by Balmoral Group. Sign up today to stand UNITED AGAINST CANCER with Friends of ANCHOR. We are the UK’s leading diabetes charity that cares for, connects with and campaigns on behalf of every person affected by or at risk of diabetes. Diabetes is the most potentially devastating – and fastest-growing – health crisis of our time. There are currently 4 million people in the UK living with diabetes, and 11.5 million more at increased risk of getting Type 2 diabetes. Those diagnosed face the risk of life-changing, and life-limiting, complications, unless they are given the very best care and the support they need to manage their condition well. As a society we need to work together now – and take action now – to fund critical research, improve healthcare and treatment, and prevent yet more people developing this potentially life-threatening condition. As the UK’s leading diabetes charity, our mission is that by bringing people together to work in partnership, we will support those living with diabetes, prevent Type 2 diabetes, make research breakthroughs, and ultimately find a cure. Scotland’s Charity Air Ambulance (SCAA) is the People’s Helicopter – saving and improving lives in every corner of Scotland, 365 days a year. As the country’s only charity-funded air ambulance, SCAA relies entirely on public donations to fuel its life-saving flights that bring help and hope to those suffering serious injury or illness wherever and whenever required. An integral part of Scotland’s frontline emergency response network, SCAA is able to reach 90% of Scotland’s population within 25 minutes, including remote and rural areas that are difficult to access by road. Time-critical traumatic accidents and medical emergencies including road traffic collisions, industrial accidents, equestrian, sporting and leisure accidents, strokes and heart attacks, falls and agricultural injuries all feature on SCAA’s busy workload as it flies expert paramedic care to the scene and provides speedy onward transfer to specialist hospitals. SCAA is a proven life-saving service that needs your support – to keep it flying to those in desperate need of an air ambulance, when speed and urgent medical attention are critical factors in their chance of survival. To find out more about SCAA please visit our website www.scaa.org.uk.